Not to be used for advertising or in a defamatory context. Not for use in Television. Tooth decay in a smoker. 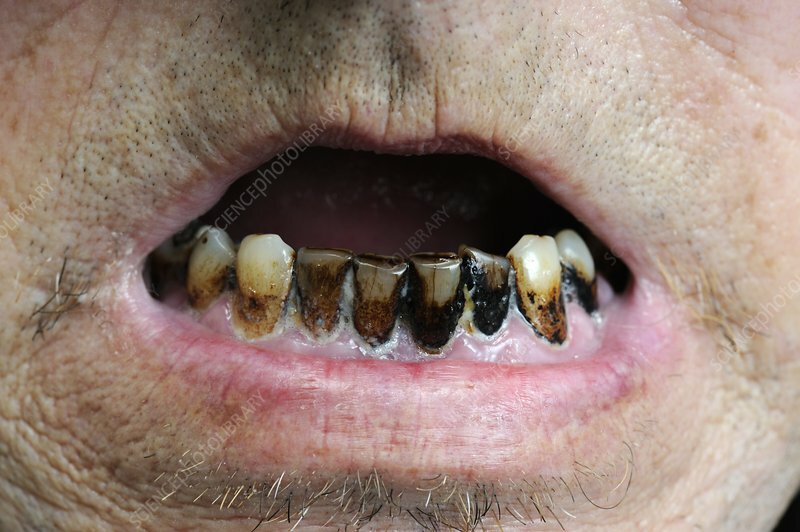 Close-up of the decaying teeth of a male smoker, showing tar deposits (black).